I Care about my clients! The Oakland flatlands, More Million dollar hoods? 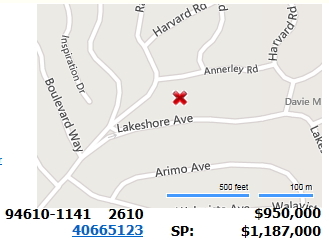 Once upon a time you paid more money to live in the Oakland Hills than in most parts of the flatlands. Schools had the better reputation, you were away from the urban bustle and grittier parts of city living and maybe you even got a lovely view of the Bay! 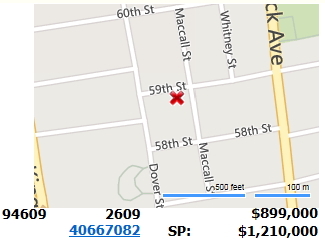 OK, so Rockridge hasn’t been cheap for a long time, but the boundary lines between which areas sell for more and which sell for less are shifting. The bike riding 20 something and the down sizing 60 something continue to gravitate to the urban hub. 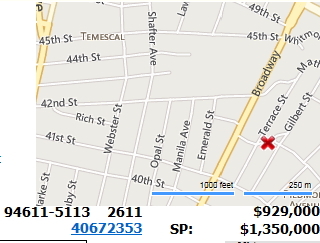 A few clips from recent sales showing the list price above and sale price….SP is the sale price. 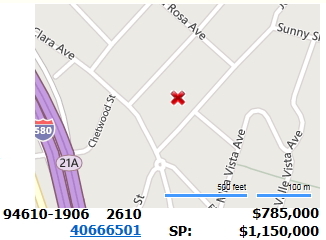 Multiple offers and strong competition for these homes in hot Oakland neighborhoods! Reports of my death have been greatly exaggerated!